Iconic Rock Garden of Chandigarh hosted two high-profile visitors i.e. PM Narendra Modi and French President Francois Hollande. 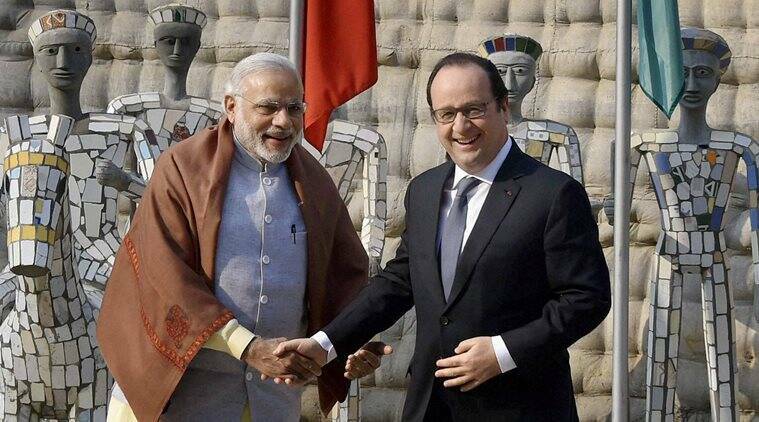 Francois Hollande is here for his three-day visit to India. These two high profiled people spent about 20 minutes at the Rock Garden and there was very tight security. Modi reached Chandigarh -- the city designed by French architect Le Corbusier. Upon meeting, the two leaders shook hands and hugged each other even as traditional Punjabi folk dance, 'Giddha', was performed to welcome them. With this meet with French President Francois Hollande, PM Modi Ji clearly told that the city is now set to become a smart city. This was the first time to first visit by an Indian PM to the Rock Garden.